Positioned opposite open green space, this four bed detached property is light and airy with an abundance of space perfect for a growing family. Both the kitchen/dining room and the lounge open onto the garden through doors, allowing light to flood in and bring the opportunity to life in the most beautiful way. 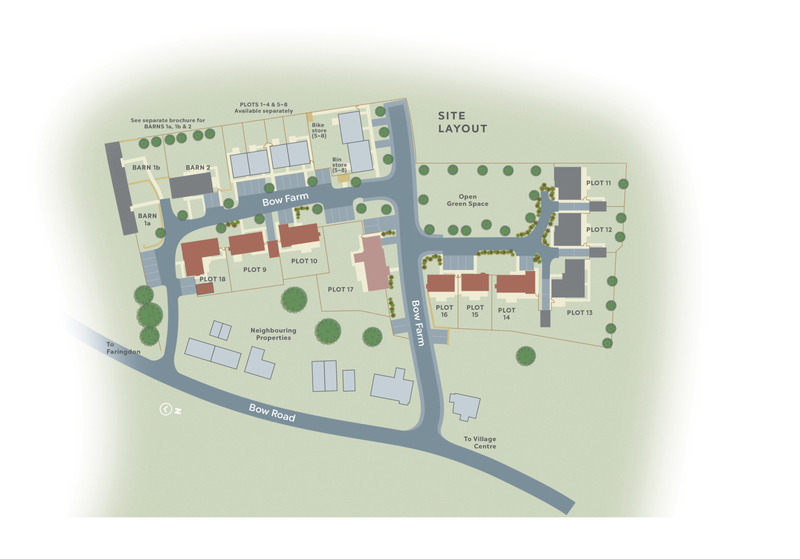 To register your interest in The Longcot, Plot 12 and/or to arrange a viewing, click the button below and fill out the form. 4220mm x 3935mm 13'10" x 12'11"
8780mm x 4330mm 28'10" x 14'2"
3000mm x 2755mm 9'10" x 9'0"
1990mm x 1465mm 6'6" x 4'10"
4330mm x 2985mm 14'2" x 9'10"
3890mm x 3060mm 12'9" x 10'0"
4375mm x 3225mm 14'4" x 10'7"
4265mm x 2565mm 14'0" x 8'5"
2290mm x 1700mm 7'6" x 5'7"
2655mm x 1270mm 8'9" x 4'2"
3265mm x 2370mm 10'9" x 7'9"
The Longcot, Plot 12 is part of the Bow Farm development. For more information click the button below.